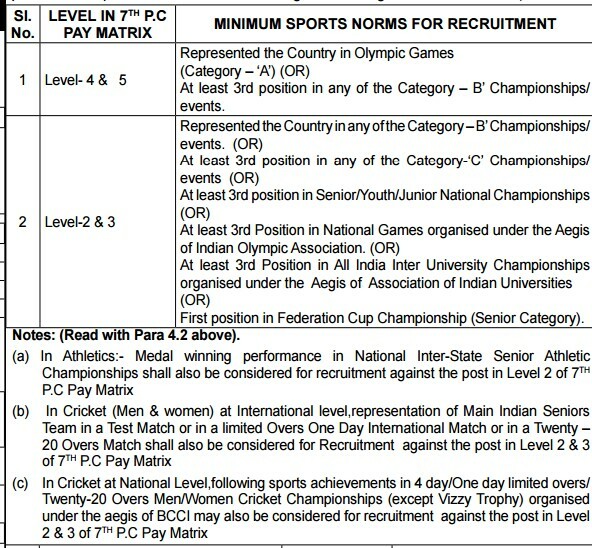 Note: (i) No posts is exclusively reserved for any community such as OBC, SC & ST etc , (ii) Candidates applying for more than one Game/ Event shall submit separate applications with separate IP Os/ODs and complete documents for each Game/ Event. (ii) For post in Level 4 & 5 of 71 h P.C Pay Matrix - Graduate. 18 to 25 Years as on 01-01-2018 that is the sports persons should have been born between 02-01 -1993 to 01-01-2000.